The royal family seemingly disappeared from the public eye during the holidays. We can’t blame them, though. Prince George and Princess Charlotte are awfully young, so it’s good to know their parents made sure they enjoyed a private holiday season, just like any other family. However, it seems like the family has wasted no time getting back to work post-holiday. Kate Middleton, the Duchess of Cambridge, was spotted with husband Prince William on the family’s first public engagement for 2017. The couple’s last public appearance prior to the new year was at a Christmas day mass, which they attended with George and Charlotte. The Duchess of Cambridge visits the Child Bereavement UK centre in London on January 11, 2017. 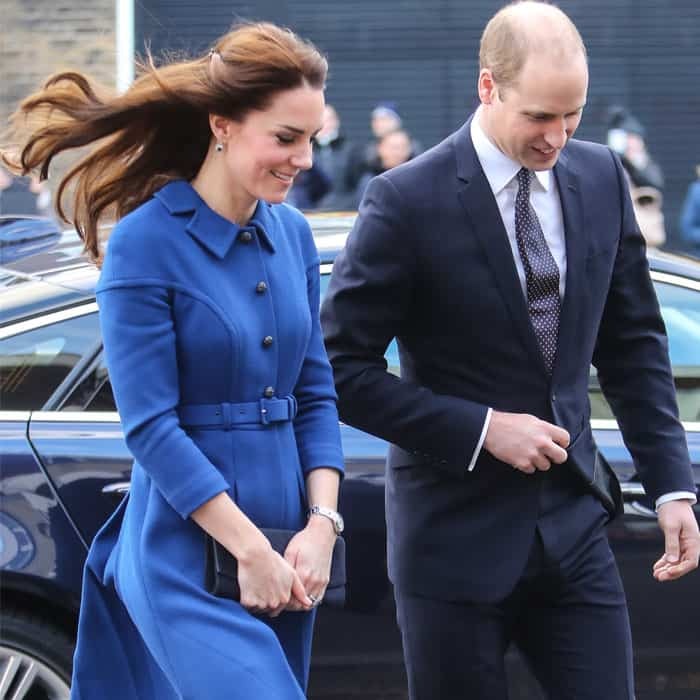 Kate was a sight to behold in blue as she kicked off the new year in an Eponine double wool crepe dress coat from the brand’s Fall 2016 collection. The gorgeous coat had subtle stitching details at the bodice, which elevated it from simple to chic. The Duchess accessorized her look with the Cartier “Ballon Bleu” stainless steel watch, the Stuart Weitzman “For Russell & Bromley” navy suede muse clutch, her Royal Collection Garrards Jewellers engagement ring — which was passed down from Princess Diana — and a pair of Rupert Sanderson “Malory” suede pumps. 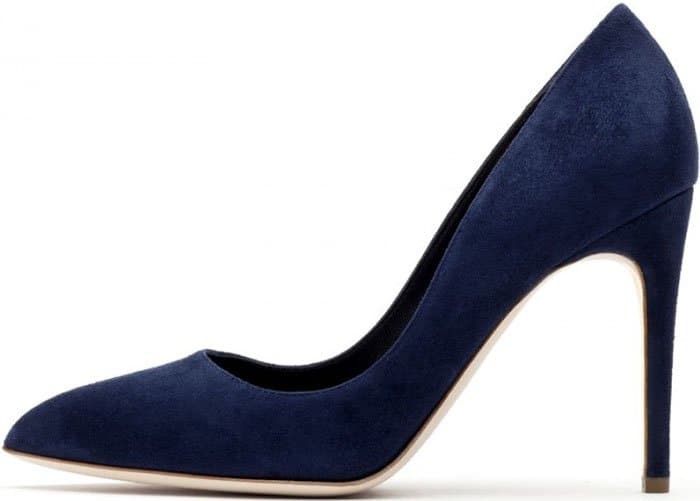 Back to the usuals: Kate steps out in her trusty Rupert Sanderson “Malory” pumps. The Royal Couple kicks off 2017 with their first public engagement together. 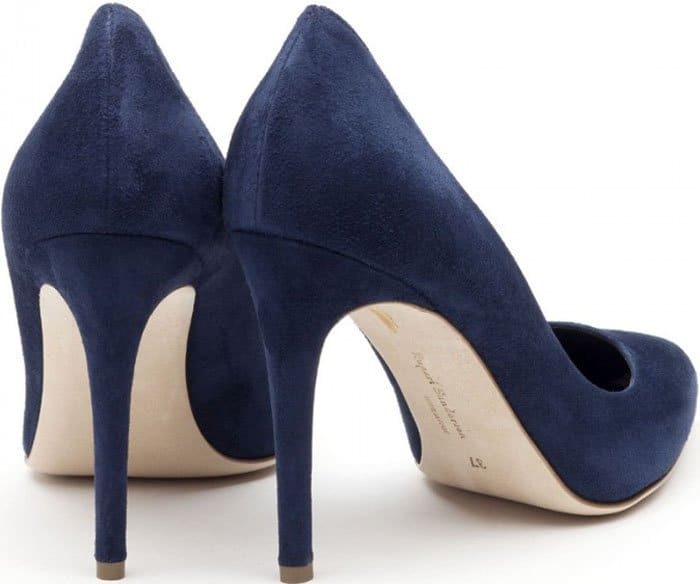 Kate tends to favor the same styles and designers, and the Rupert Sanderson “Malory” pumps seem to be a favorite. We’d love to see Kate wear other shoes, but we understand the need for the duchess to keep her image conservative as part of the royal family. Regardless, we appreciate Kate’s timeless style every time we see it. The Royal Couple visited The Anna Freud Centre and moved on to Child Bereavement UK afterward. 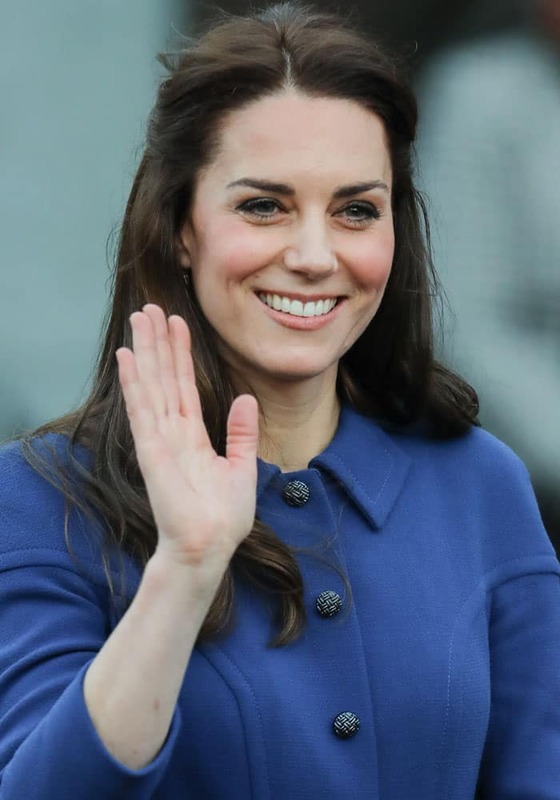 Kate spoke and talked about how it’s tough to be a parent to two energetic tots. Her husband Prince William opened up about his anger at losing his mother, the late Princess Diana. 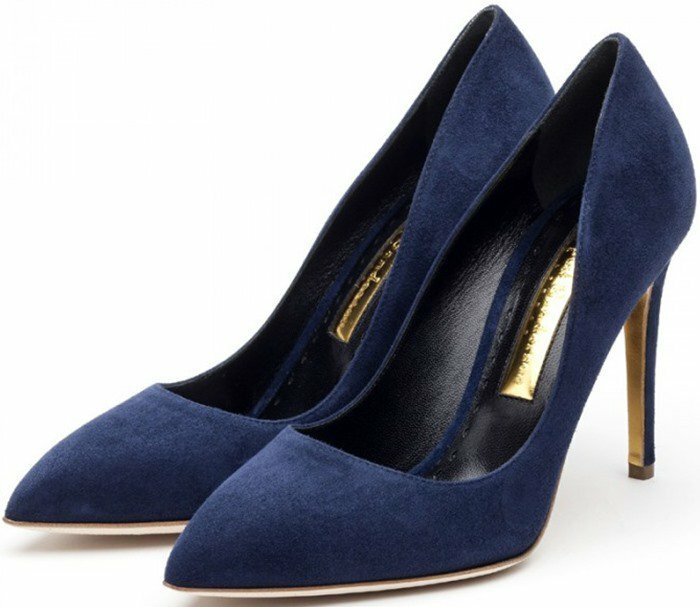 Shop Kate Middleton’s go-to “Malory” pumps at Rupert Sanderson.